Woleai (pop. 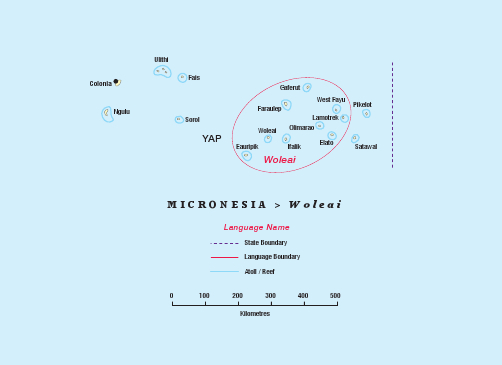 1,400) is a Micronesian language, part of Carolinian language continuum, under influence of Ulithian and somewhat of English but nonetheless strong. Local customs, as on all the outlying islands in Yap and Chuuk states, are still very strong. Isles of the Sea translation advisor Cameron Fruit is assisting a small but dedicated Woleai translation team who are currently working on drafting the four Gospels. 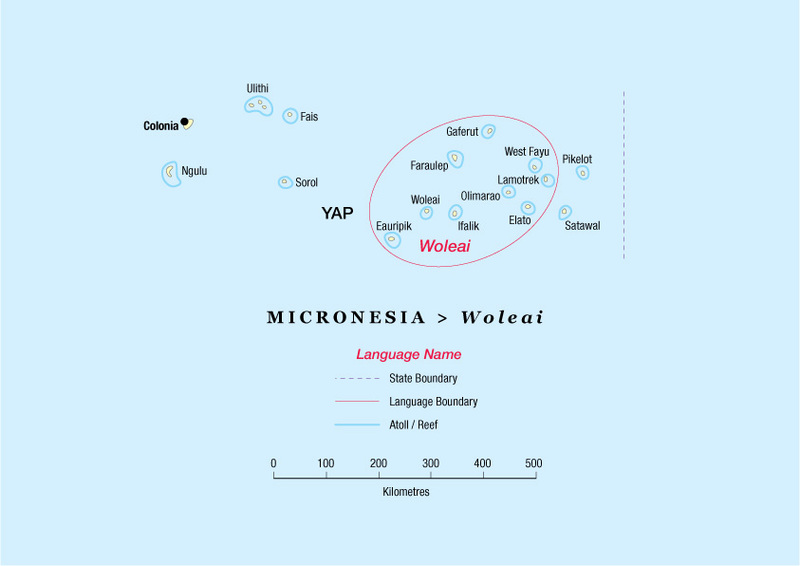 Cameron makes trips form his home on Saipan to Yap, where the Woleai team members are located, to work as a team through their draft translations. Steady progress is being made. A recent highlight was that one of the Woleai team was instrumental in getting the Satawal translation process started. The Woleai translation team. Left to right, front: Joanie Kuor, Lourdes Hasugulfil, Johanna Malimai, Queentina Haleyalgiy, Mary Sanemai. Back: Ignateus Pakaluwow, John Malimai, Peter Haleyalgiy, Augustino Sanemai. 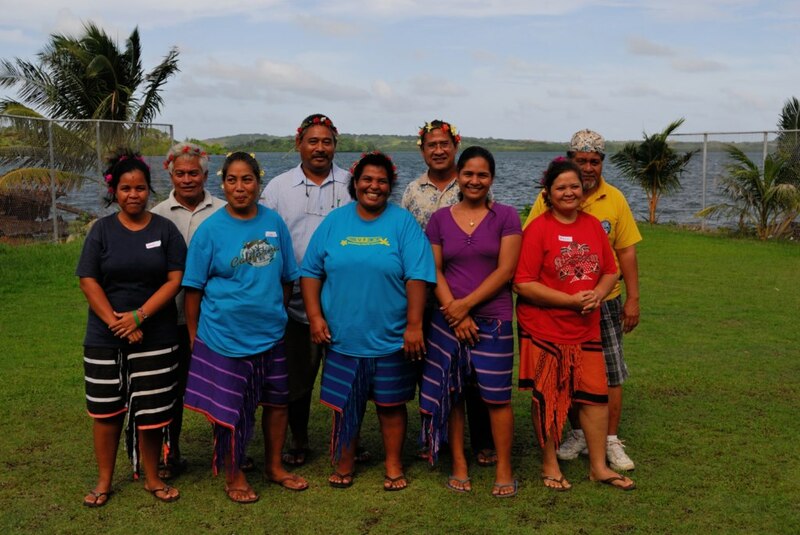 Pictures of the Satawal, Woleai, Tobi and Sonsorol translation teams.